As part of the Our Views, Our Voices initiative, the NCD Alliance has supported the Mexico Salud-Hable Coalition in the development of its national Advocacy Agenda of People Living with NCDs (PLWNCDs). 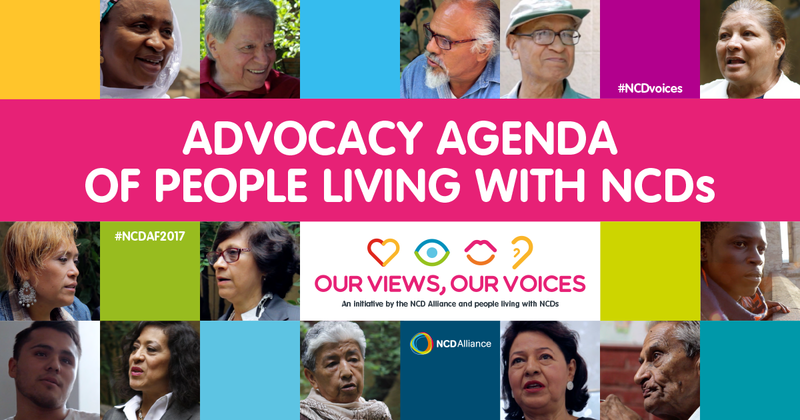 This Agenda is built on the NCDA’s Global Advocacy Agenda of PLWNCDs, as well as on series of activities in support of the Our Views, Our Voices initiative, including the organisation of seven community conversations with 150 PLWNCDS and their caregivers in Mexico City during 2017. The contents of the Mexican Agenda result from the views, perspectives and recommendations of over 40 PLWNCDs and their caregivers who attended a National Meeting convened in November 2018, which was possible thanks to the support of the NCD Alliance and our partnership with Lilly. Other participants of the meeting included representatives and experts from the Ministry of Health and the Pan American Health Organisation (PAHO) in Mexico. During the meeting, PLWNCDs were able to assess the best ways to promote their meaningful involvement in decision making process concerning their health, as well as to promote further recommendations to guide and support efforts of key stakeholders to improve NCD prevention and control, especially through the continuum of care and a human rights and social justice approach. The Advocacy Agenda was launched during a press conference on 14 March, and will be disseminated with high-level stakeholders and decision makers from civil society, academia, government and Congress. The Agenda will be further used by the alliance to advocate around the new National Development Plan 2019-2024 and the National Health Plan 2019-2024, which will become the pillars for the new Mexican government in terms of social and health policies. Click an image to see a larger version. The Advocacy Agenda of People Living with NCDs represents a grassroots, participatory consultation process that aimed to understand the needs, challenges and priority “asks” of PLWNCDs and those affected. 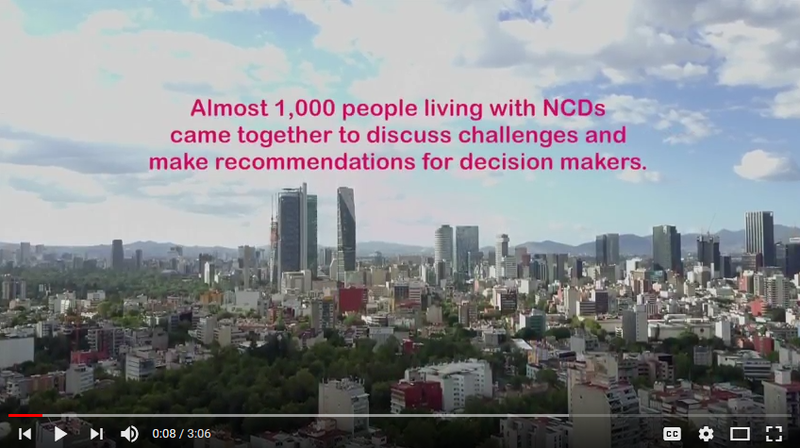 From community conversations in Mexico to the stories of Rafael, YP, Wesly and Rakiya, these micro-docs capture the essence of the Advocacy Agenda of People Living with NCDs. Co-produced with NCDFREE. 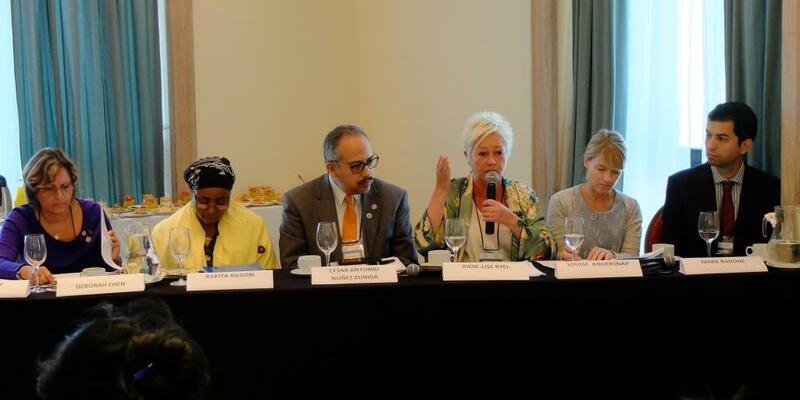 More needs to be done to support meaningful involvement of people living with NCDs (PLWNCDs), concluded the Breakthrough Breakfast organised by NCD Alliance at the WHO Global Conference on NCDs.